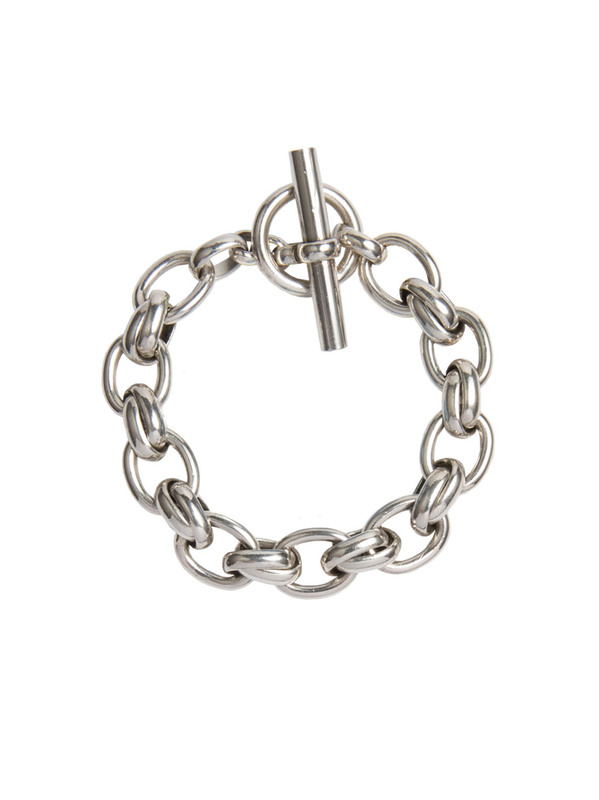 This luxurious statement bracelet would make a handsome addition to your jewellery stash. The double links add weight and the elegant, oversize t-bar delivers a luxurious and contemporary twist. Slip it in between your other friendships and bangles for an on-trend arm of loveliness.